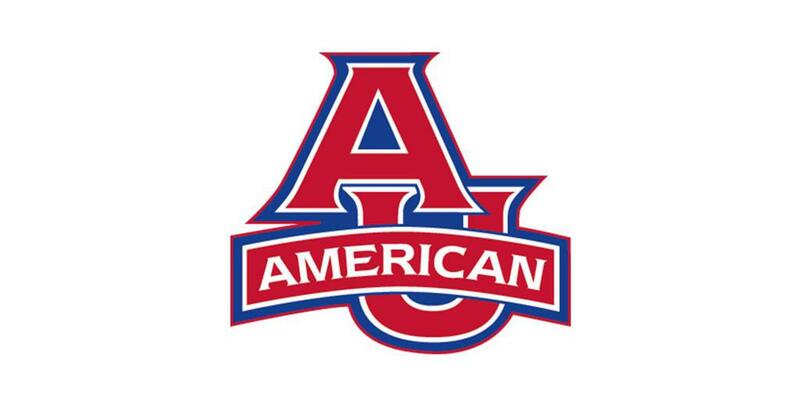 I am extremely excited to announce my commitment to play division 1 soccer for American University! Ever since I can remember, playing soccer at the collegiate level has been a huge goal in my life. I am so thankful that I was able to find a school that is perfect for me and I could not be happier with my decision! Not only is the soccer at a high and competitive level, but the academics are also strong and will push me to be my best. The east coast, and especially D.C., is an amazing area with lots of opportunities and very close to my families’ life. 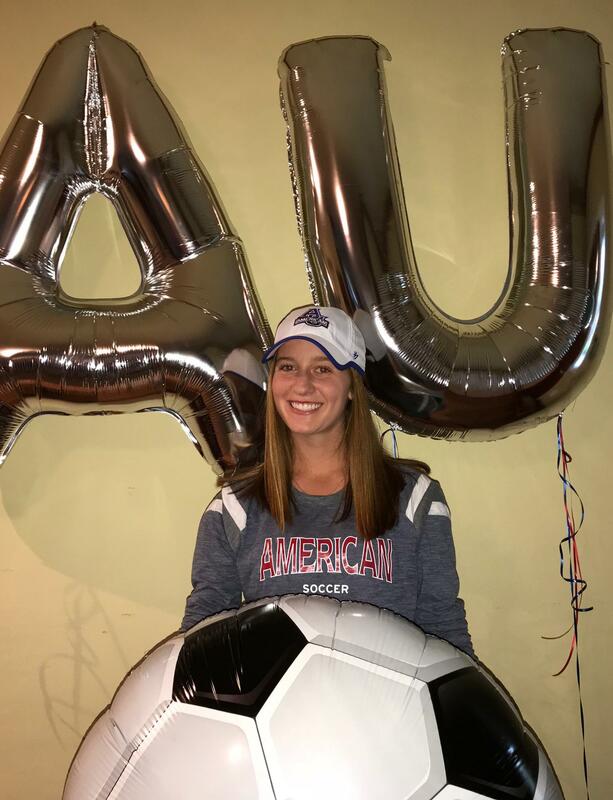 The coaching staff at AU have been very welcoming and have already made me feel like a big part of the American community. First, I want to thank all the coaches who I have had throughout the years. From playing on Sacramento United for six years- Gina Ramirez, Tibore Pele, Sean Blakeman, and Dave Rubio- developed my soccer foundation and grew my love for the game. 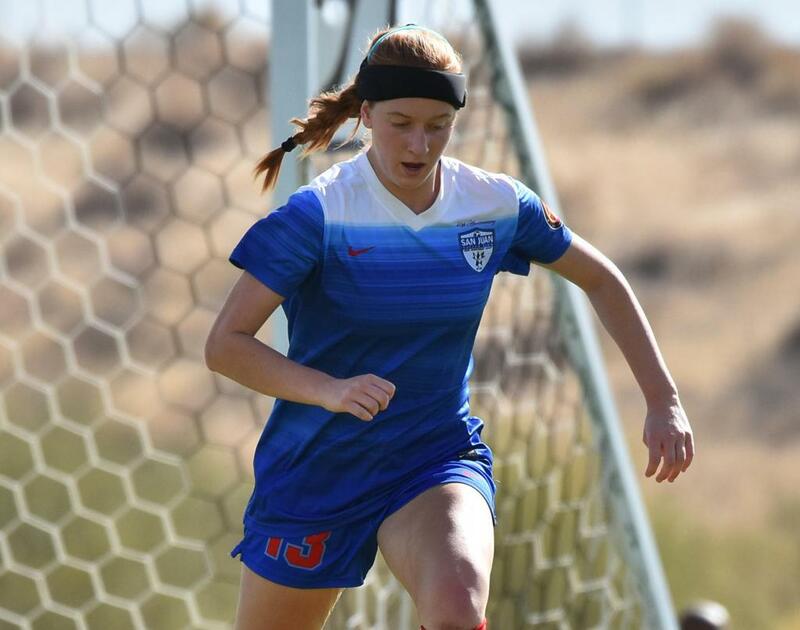 I also want to thank all the San Juan ECNL coaches. Although this is only my second season with San Juan, each coach welcomed me in and helped me improve more than I could ask. Specifically, I want to give a huge thanks to Erin Sharpe for truly believing in me, giving me all the tools I need to play in college, and guiding me to make the best decision possible. Second, I could not have gotten to this point without the help and support of my family. My parents have sacrificed so much for me, from driving me to practice, games, encouraging me, and always pushing me to do my best. Also, to my amazing older sister, Frances, who constantly acts as a role model for me to reach my dreams. (not to mention I'll be 10 minutes away from her college)!! Lastly, to my amazing teammates, who have become some of my best friends and continue to bring so much love and joy to this game. I could not be more excited to be an eagle and I can’t wait to see what the future holds!